Speedxcell is a balanced Multivitamin and Mineral supplement in solution form to make daily feeding easy. 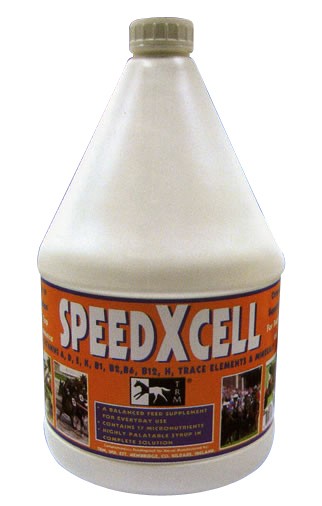 Speedxcell is designed to assist with maintaining optimum health and maximising your horses full athletic potential. With the formulation of 20 essential nutrients Speedxcell can fill the gap between the increased nutritional requirements of a competition horse and the natural environmental supply.